The best hunting camo patterns change from region to region in the U.S. This article is going to breakdown the U.S. Into four areas; the north, the south, the east, and the west for ease of explanation. It should be noted, that even these four can be broken down much further. Take my home state of Minnesota for example. It has four different biomes within it’s borders. The northern pine forests, the deciduous forests in the north-central, the farmland and plains in the central and southern, and the cavernous, dry area in the southeast. This is just to show that, although I am giving the best camo patterns for the particular region, I am also using the habitat that is the most widely spread in said areas. Always look at the habitat you are hunting in, to find the best hunting camo patterns. Another important aspect of hunting camouflage is knowing how different game animals see you in the different styles. I will not be going into great depth on this subject, however I do urge every hunter who is serious about hunting to educate themselves on this subject. Before I show what, and where, patterns work the best, I will give a brief description of the different kinds of patterns in use today. As a side note, the examples of patterns I use, are specific to certain companies, but the purpose of this article is not to endorse any of them. I use them as examples of the kind of patterns to use in certain terrains, and regions, what you go with is up to you. You can hunt without camouflage. However, even in the early stages of hunting, people started realizing that their success rate was significantly higher when animals had a hard time seeing them. As a result, they started to use limbs and bushes to hide and therefore got closer to their prey without being noticed. Today there are fortunately easier ways achieve the same effects, even without taping sticks and leaves to your jacket. 30 years ago companies started printing patterns on hunting gear imitating the environment they were used to hunt in. The result is the same, the human silhouette gets broken, making it way easier to hide from the eyes of your prey. The patterns used for that changed greatly over time. While in the early stages it was a plain combination of different black and green colors, camo patterns bought today are often made from high definition printed limbs, leaves, and other plants. No, camouflage is not necessary for hunting, but can definitely improve your success. Today there are two big companies, pretty much dominating the market with their camouflage patterns: Realtree and Mossy Oak. Both companies hold patents for most of the popular patterns, that they gained by simply being the first in pushing forward new technologies. The printing of well researched and designed arrangements of native plants and trees on jackets and trousers was a huge step for the industry. Both of them make their money with licenses that they sell to hunting gear manufacturers that want to use their patterns on their gear. Following that, you can get different gear made by different manufacturers, that all use the same range of patterns. This brings the advantage of making it easier to combine different hunting clothing to an overall monotone outfit. Otherwise, you would be forced to buy everything from the same brand to achieve an overall consistent pattern. All that being said, this is by no means all there is to choose from. There are countless of different variations and manufacturers and limiting your choice just on those two companies is possible, but not necessarily the best way to go. To give you an idea of what type of hunting camouflage I refer to in this guide, I will break it up into three different kinds. While breakup being by far the most popular choice for modern day hunting, it’s worth knowing about the other two options as well. Patterns should be consistent throughout the apparel; pants, jacket, gloves, mask, etc. The first kind of pattern style is referred to as mimicry. As the name implies, these try to “mimic” the colors of the background habitat the hunter is hiding in. What many hunters do not know is that it is very hard to accomplish this. One reason is, that the background of many habitats are constantly changing, from season to season, but also within the seasons. Green based camouflage attire may work at the beginning of the season, but even a week of cooler weather can produce drastic changes in leaf colors, quickly turning landscape mostly brown, gray, and black. Although the deer’s vision is worse than those of most hunters, they also interpret what they see differently. When camouflage is even a few shades different from its surrounding habitat, a deer is able to make out your silhouette. It is like having a neon sign blinking above your head saying “danger: go the other way.” My advice on this style of pattern is this: Unless you hunt in a place that has very little change in colors over the season, you should strongly consider using one of the other pattern styles. Breakup, in terms of camouflage, is a style that tries to break up your outline. When successful, it will make you look like a part of the background; like a log, a stump, or any other part of the landscape. Finding hunting camouflage that will break up the hunter’s outline is very effective at hiding you from most big game animals, as well as waterfowl and turkeys. This pattern may not look as appealing to the human eye, but remember that it is not humans we are hunting. Instead of blending into the background, it makes the hunter a part of it. This has become popular in the blaze orange camouflage needed during rifle season for deer hunting. It also hides movements better, and even though a deer’s eyesight is terrible, their ability to detect motion is top-notch. Two kinds of breakup patterns are used today; micro-breakup for close range hunting, and macro-breakup for long range hunting. This type of pattern adds texture to clothing, and really is the best hunting camo for any kind of hunting. It breaks up your figure excellently. The downside is its cumbersome movement capabilities. Getting snagged on rocks, branches, or fences makes this type of pattern a pain if your hunting requires a lot of moving around. If your hunting will be mainly stationary, however, then I highly recommend this style pattern in any hunting situation. When this type of pattern is paired with the mimicry or breakup under-layer, it is the best of the best. There is also 3D that is meant to look 3D, but does not actually have leaves and branches hanging from the clothing. They are a digital 3D, which, depending on the style, will still fall into the mimicry or breakup categories. With the overview of what type of patterns there are, I will give you some general selections, depending on the region being hunted. Although this can be broken down much more, for time and space, I will be doing north, south, east, and west. North being from Michigan to North/South Dakota, south being from Alabama to Texas, east being from Maine, Pennsylvania, down to Florida, and west being from Montana through the Rockies to Oregon and California. Keep in mind these are very big regions with many different habitats and backgrounds, so the suggestions I make will be general, and adjustments may be needed depending on where you are hunting. I, personally, always take photos, and study the terrain I am hunting. This is especially helpful when hunting somewhere new. A good pattern for a particular area may not be very good even fifty miles away, so study the environment you hunt in. This is a broad area, but for my purposes, it contains West Virginia, Pennsylvania, North and South Carolina, Kentucky, Florida, and most states between. Within this region are northern pine forests, the rolling Appalachians, the swamps of Georgia, and the Everglades in Florida. There are many patterns to choose from within this region, but some of the best hunting camo patterns I have picked are based on the actual results of hunters. This area requires any number of patterns to hunt, and color schemes as well, depending on the terrain. A dark timber, with darker greens, grays, and blacks works well from Maine, all the way to Pennsylvania. Realtree has come up with a new pattern style referred to as All Purpose High Definition, which, implied by it’s name, can, and is used in most situations. It has neutral tones, and intense darker bark texture designed to breakup your pattern. Moving further south, passing the forests of the northeastern US, making your way into South Carolina, and the swamps of Georgia, Predator Green is a top choice here. The woodlands in this area call for a darker pattern, like Next G-1 Vista. Many hunters think of “green” as a good color for camouflage, but in reality, even the greenest areas in the USA are only 30-40 % green, with most of the color belonging to gray, black, and brown. When hunting in thick woods of the northern half of this region, mimicry works well because much of the hunting is close range. When it starts to break up and become farm land further south and west, a good break-up pattern is the way to go. This will hide your silhouette from long range game. Southern Florida is a place in it’s own. It is a scrub oak habitat, until the everglades take over. A gray/brown/green pattern like Mossy Oak Break-up Infinity is a great choice for down here. The best hunting camo pattern for this area is, as in all these regions, a broad spectrum with many options and choices depending on the specifics of location. Within this region are rolling plains, farmland, northern pine forests, middle-northern deciduous forests, and many other habitats. Much of this terrain is considered deer stand country, if this is the hunting you are doing, that is. There is an enormous amount of fresh water lakes, rivers, ponds, etc. to grow some brushy, hardwood forests with a backdrop nearly always on, or close to a body of water. One of my personal favorites, and best hunting camo patterns for the north-central deciduous forests is Realtree APG. This pattern has a small amount of green, but mostly gray and brown make up the base colors. The vertical tree pattern rests on an open background, which makes it a good choice for tree stands. Next Camo FLX Digital came out in 2009, and for mimicry patterns it is one of the best. The digital pattern is out-of-focus, for longer range hunting. 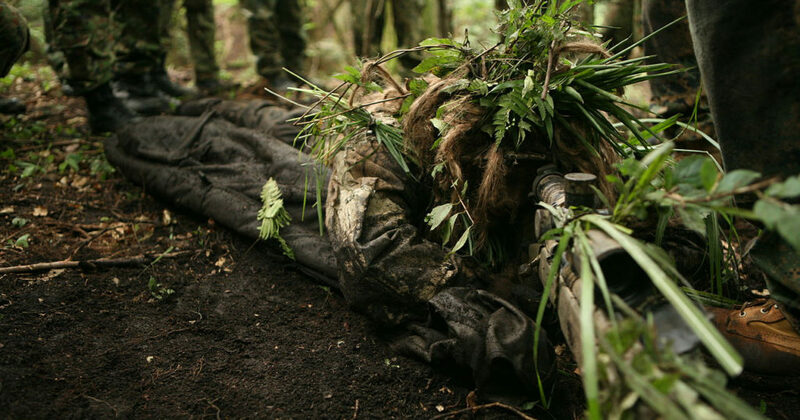 This is seen as the next step in concealment, using the game animal’s vision as a guide to create the pattern. Another great pattern, especially for bow hunters is Mathews Lost Camo, made by the same company that makes Mathews Bow. It is a larger format pattern designed to have definition from 1000 yards away. One last pattern, a 3D pattern from Cabela’s, is perfect for the woods in northern Minnesota, Wisconsin, the Upper Peninsula of Michigan, etc. This a great hardwood setting pattern, with large horizontal and vertical limbs, and a very stunning pattern, in and of itself. Many of these hunting patterns will work for deer or duck hunting in wooded areas. For hunting fields, the first two camo patterns work well, but I like a bit more light brown in it, to mimic or breakup, the corn fields that used to be part of the great plains. This region, especially northern Minnesota, Wisconsin and Michigan have a very diverse terrain, so really check your hunting grounds well and take pictures of where you hunt. This will give you an idea of what hunting camouflage patterns work best. This area covers from Alabama, to Louisiana, Texas, Arkansas, and the states in between. From the rolling Ozark Mountains of Arkansas, to the lowland Swamps of Alabama and Louisiana. This area is huge, and like the others has a vast array of hunting habitats. The best hunting camo in this place is going to be “busy” camouflage. Some places are thick with vegetation, resembling images of a jungle, and others can open up into old plantation fields. Mossy Oak Break-up is a great choice for the swampy, murky areas of hunting in Alabama and Louisiana. For northern Texas and into the hardwood forests of Arkansas, Predator Deception has always rang true. It has a great break-up pattern, and is one of the few non-digital camouflage patterns on the market. This one is more like art, than anything else, but do not let that statement fool you. It is some of the most functional art money can buy. Next G-1 has various patterns that will work throughout this area, too. When your hunting party decides to cross state lines, and ride into Arizona, New Mexico, or western Oklahoma then a different pattern is needed all together. King’s Desert Shadow is a great mimicry camouflage for Arizona, and surrounding desert-like habitat. It resembles sage desert plants, with a sandy brown base layer. This is what any hunting camo pattern for this area should have, all the way up to the beginning of the Rocky Mountains. Original Natural Gear is another company that produces good break-up patterns for this habitat. Any rocky, dry habitat and this camo pattern performs over and over again. It will hide your silhouette extremely well, which is not easily accomplished in this particular terrain. The southern USA is a vast area, and should be treated as such. Many of these regions overlap each other in certain areas. 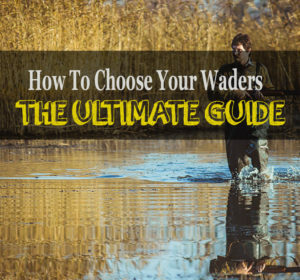 While this guide can be trusted to perform, all hunters should study there specific terrain to pick the best patterns for where they are hunting. This area is rather large, and can be split into two main sub-regions. The Rocky Mountains, and the coast. The Rocky Mountains, unlike the Appalachians in the eastern USA, are a dry, rocky range. Their name implies this, but just to be sure I wanted to make this distinction. Once passed the Rockies, you will find yourself in one of the rarest habitats on earth, the deciduous rain forest of the Pacific Northwest. The King’s Desert Shadow, mentioned above, works well in the Rockies, too. It works very well, in fact. It can blend in with just about any dry, rocky place on earth. Realtree Max-1 HD is another great western pattern, for the dryer west that is. It is a busy camouflage, with a mix of earth tones, prairie grass, brush, sage, and rocks. In addition, it has a bit of shadow detail to lock it in. One more break-up pattern I really like for this particular terrain is Cabela’s Outfitter Camo. It is a mix of gray tones that can work in the Rockies all the way from Colorado, to Alaska. It is a great pattern to breakup your silhouette, and make you a part of the background. Once passed the Rockies, and coming down the west side of the mountain range, into northern California, a combination of fir and pine patterns is optimal. In addition to oak trees and a mix of green and brown to gray base colors to round out the pattern. Camo West Vanish accomplishes this very well for a mimicry pattern. It mixes out-of-focus white and yellow foreground with sharp branches and a gray-brown backdrop. It is great for hunting on the greener side of the mountains. The Pacific Northwest is a league all of its own. This is an area lush with bright green rain forests. So green based hunting camo pattern , although I deter from it most other places, is a welcome ally in this landscape. The Predator Green camo works well here. The Mossy Oak Breakup patterns also do well in this area. This area calls for darker greens, since it is cloudy much of the time. This color combined with blacks, and darker grays is a good mix. There is a new camouflage company called ASAT camo. The ASAT stands for All Season All Terrain. This company is definitely worth checking out. They have started a new way of looking at camouflage for hunters and the like. A simple observation gave them the idea. “The rabbit, deer, moose, and elk are what color? Brown! If green were a good color for camouflage, why are most game animals brown?” With this statement they make a valid point. Their camouflage is built on different premises than the companies who have come before, with the mission to blend the hunter into the background using colors like brown, gray and black. These colors, if you look at any region of the USA, are in every terrain, and every habitat. They create their camouflage under these rules, and the testimonies of hunters across the board prove the success of their thinking. I am not disregarding the companies I have mentioned in this article, as they are some of my favorites, but this new idea of camouflage is really worth checking out. If one camouflage can be used virtually anywhere, that eliminates much of the headache for this part of the sport of hunting. What Do Game Animals See? While humans can see a broad spectrum of colors, this is not the case for most game animals. We can not rely on our vision to judge how something would look like to a deer or a mallard. Ungulates like deer only possess green/yellow and blue light cells so colors like orange or red just blend in and look more like a form of gray. Also, their vision compared to ours is blurry, so for finding food they rely more on their other senses. You might wonder now, why you should even care about the best camo patterns and the reason for that is their incredible detection of motion. Good camo patterns will help to disguise you since movements are way harder to spot without a consistent silhouette. Exactly the opposite is the case for birds. They see more colors than humans and can spot even smallest details. Birds rely way more on their vision than most animals do, so if there is one form of hunting where you need camouflage, it is waterfowl, pheasant or duck hunting. Even small areas with conspicuous colors and slight movements could cost you your tasty dinner. Most of the predators have similar vision to ungulates. They have trouble seeing colors in the ranges of orange or red since they only possess green and blue light cells. As a hunter, you should be way more concerned about their other senses like hearing or smelling. Movements and your body odor probably reveal you earlier than your outfit will do. I have said it maybe five times in this article, but it needs to be stressed one more time. Splitting the US into only four regions is hardly enough to be thorough and specific. The guide I have put together is a tool to get hunters started on the right track. The amount of different habitats and terrains within these regions is incredibly vast, and can change in only a few miles from one place to another. As a reminder, I suggest studying your hunting terrain and habitat, and take photos of different angles of where you plan to hunt, even if it might be multiple locations. Take into consideration how the game you are after sees colors. I hope this guide is as useful as I intended it to be, and helps you finding the best hunting camo pattern for your particular needs. Keep in mind that there is absolutely no need to buy every new camo pattern that gets thrown onto the market. People 80 years ago killed tons of deer wearing blue jeans and button ups, not wasting a single thought about how they look. However, they would probably panic and run away if they encounter a fully camo dressed, geared up bow hunter, deep in the woods and said bow hunter might be able to shoot more deer on a day than they could in a week. So there is that. As with anything, make sure to buy the right stuff in the first place. Once you own a set of hunting equipment in decent camo patterns, stick to it. Deer do not care about the newest and best hunting camo patterns of 2016. It’s still a hunt, not a fashion contest. As always, we are happy to hear your opinions on this topic. Which camo patterns worked for you, which didn’t? Any expert advice on a specific area not listed you want to share? Leave us a comment! I am using MAX4 for a while now and it is definitely an awesome, if not the best hunting camo out there. At least for duck hunting. Doing this for a while now. Do not be disappointed if your first try does not look that good. You will get better over time, trust me. ASAT has a point about animals. Brown reflects surrounding colors quite well, and it’s very easy to look brown. It largely depends on the climate as a whole, but I find old military surplus uniforms in Olive Drab and M81 Woodland work great here in the lush bushes and pseudo-jungles of the Deep South. Hunting camo is very expensive unless you can find a used set at a thrift store that fits, but I’ll say Real Tree Advantage Max 4 has worked for me in pretty much every environment I’ve been to, from desert to plains to fall forests, and its brown shades carry a reflective effect. Marine Pattern digital camouflage is a great setup for pine forests.